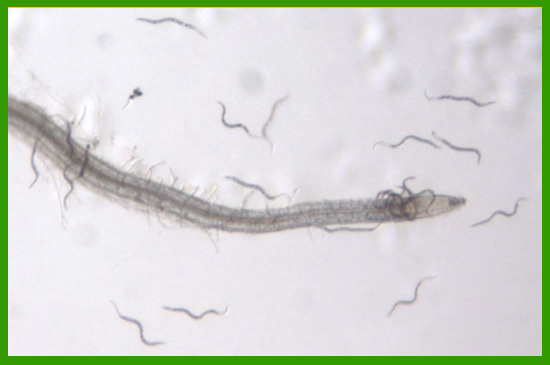 The root knot nematode M. hapla is an obligate, biotrophic pathogen of a wide range of hosts. 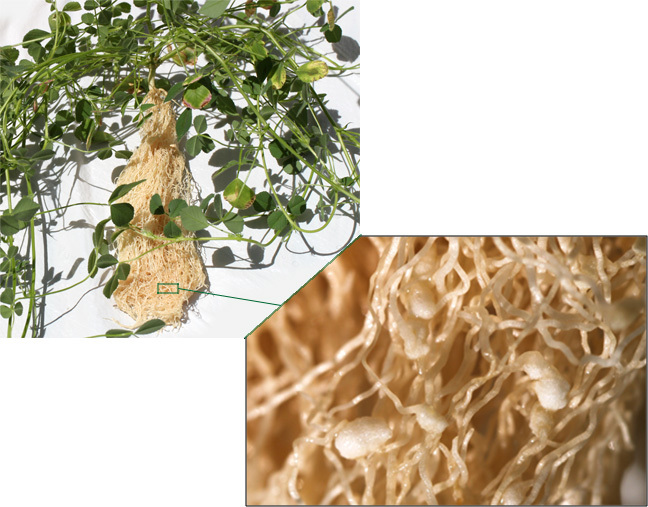 Infective second stage juveniles (J2) enter the root near the root tip and move to the vascular cylinder. There they form a feeding site characterized by modified host cells (giant cells) that serve as a source of nutrients for the nematode. 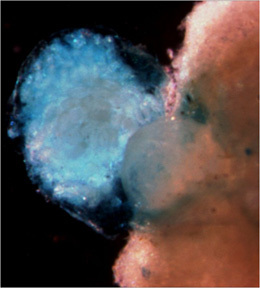 Cortical cells surrounding the giant cells become hypertrophied forming a characteristic gall or root-knot. The nematode becomes immobile and develops over about a month into an adult female, which lays eggs in a gelatinous mass at the root surface.